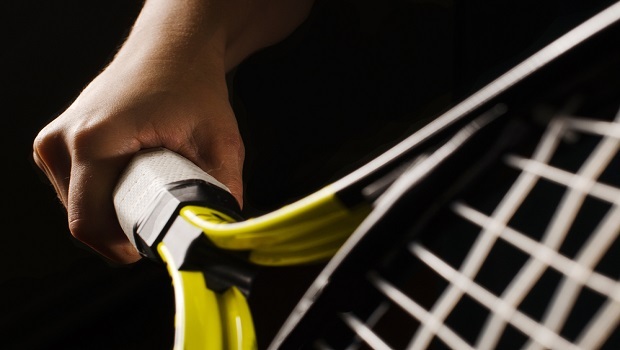 Who Are The Best Bets To Win The 2019 Australian Open? Who Should I Back to Win the Australian Open Tennis? On Monday 14th January, the first Grand Slam tournament of the tennis season got underway at Melbourne Park in Australia with 128 players in each of the men’s and women’s singles tournaments battling it out to become the Australian Open Champion 2019. Over the first two days of action we have already seen plenty of excitement and the occasional shock result too. Andy Murray battled hard against his opponent and his hip injury before eventually losing to 22nd seed Roberto Bautista Agut on the opening day and fellow Brit Kyle Edmund, a semi-finalist here last year, also went out yesterday. Several other seeds in both the men’s and women’s draw also went out at the first round stage and no doubt more will follow over the next fortnight or so as players eliminate each other until just two remain in each draw to contest the finals, which will be played on Saturday 26th and Sunday 27th January 2019. 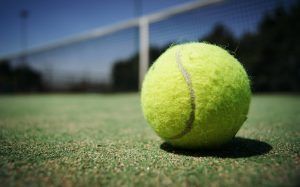 There’s masses of great tennis betting to enjoy on the Australian Open at the moment on bet365 Sport including Live Streaming of the games as well as In Play betting and all your usual markets too. If you fancy a flutter and are not yet a member, then remember new customers can benefit from the latest bet365 Sport Sign Up Bonus which could see you earn up to £100 in bet credits when you have joined and start betting on the site. In this article, we are going to take a look at who we think our the top three players to back to win the event in both the men’s and women’s draw and why we feel they are the players to back. All data shown and odds are correct as of Tuesday 15th January 2019. 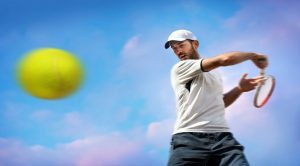 For a couple of years, it seemed that Novak Djokovic would struggle to get back to his very best form, but last year, after finishing 2017 without a title, he earned his first Grand Slam victory in two years when winning Wimbledon and then he followed that up with a stunning victory at the US Open at Flushing Meadow. Djokovic is clearly back to his best and the in form Serbian will be hoping to add the Australian Open to his winner cabinet for the seventh time, which would be a record. Seeded first in the draw, it is going to have to be a monumental effort from a player to get the better of the current World Number 1. Yes, it is another obvious pick but what you can say other than it is Roger Federer in a Grand Slam event that he has won six times in total, including both of the past two years? You have to include him as one of the two favourites for the event simply based on that fact alone, let alone his majestic career which has him down as one of the greatest players, if not THE greatest player of all time. Federer’s clever management of his schedule in recent times, including missing the French Open, has meant he has been more focused in the other Grand Slam events and with his record in Australia seeing him unbeaten over the past two years, it is going to take a massive effort for someone to break that record this year. Kevin Anderson was always recognised as a tall, big-serving, quality tennis player but perhaps someone who would always find themselves lingering in the top 20 or so of players without making an impression on the top six. However in 2017, that all changed with Anderson reaching the final of the US Open and then in 2018, he followed that up with his equal best performance at the French Open before earning a final appearance at Wimbledon. Anderson’s big serve and huge reach are obvious weapons but he is fitter, quicker and more athletic than many give him credit for. He is also in form and if one of the big two were to slip up, then my money would be on Anderson being the man most likely to perform well. There’s little left for Serena Williams to achieve in the women’s game. The 37 year old has been the dominant force in women’s tennis for over ten years and her legacy of Grand Slam titles speaks for itself. However after giving birth, Williams is now seeking her first Grand Slam title as a mother and despite being 16th seed in Melbourne, she is the hot favourite to land her eighth Australian Open. Williams qualities as a player are still very evident, as is her choice of fashion, but there are question marks about her fitness as she now approaches 40. In truth, the sapping heat of Melbourne may be more problematic to her than some of her opponents and I think she is a shoe-in to reach at least the semifinals and an obvious choice as the winner. 2018 was the year that Naomi Osaka finally started to achieve her full potential, she flew up the rankings to achieve a career best fourth place in the rankings in October 2018 and that lofty position came on the back of her first ever win in a Grand Slam event, when she surprised many by landing victory at the US Open. She’s only managed to get to the fourth round of the Australian Open so far in her career, but her aggressive playing style and unflinching serve, which can hit 125mph, is reckoned to be one of the most potent in the women’s game. If she can add greater consistency on her ground strokes to her game she could be a real threat in Melbourne over the next fortnight. Born in Venezuela, Muguruza represents Spain and has already landed two Grand Slam titles in her career, the French Open in 2016 and the Wimbledon title in 2017. Her form is somewhat erratic and her best performance in this event is a quarterfinal spot in 2017, but in terms of a female player who is comfortable on all surfaces, Muguruza is amongst the best technical players. A former World Number 1, she has dropped down to 18th in the rankings after a poor 2018 season but she should be raring to go this year and the Australian Open could be her first chance of adding another piece of silverware to her collection. She faces a tough second round match against Britain’s Johanna Konta next, but if she can get through that game then she’ll be a real test for any of the other women left in the draw and at 25/1, she is well worth at least an each way bet.